Includes all fuel, boat, guide, shore lunch. For groups of 2 all the way to large corporate or family groups up to 16 people, we can accommodate all of your guiding needs with experienced guides and charter boat personnel. 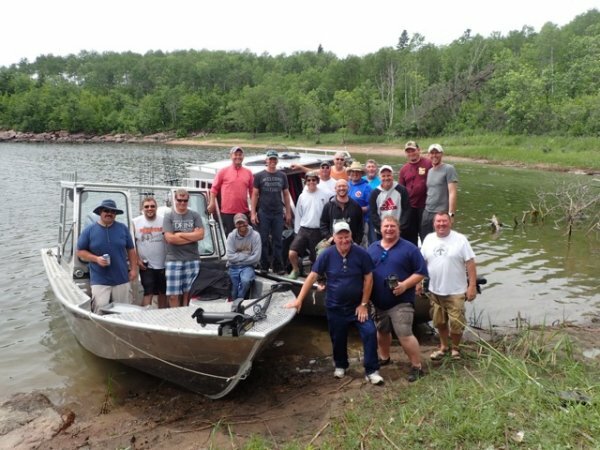 Trail End offers the only custom charter boat operation in the province of Manitoba! Custom Charter boat rentals $800.00 per day for four persons. Additional 100 per day per person in groups of over 4 persons. Boat #1 - 28' long x 10" wide custom built charter boat fishes 8 comfortably. Boat #2 - 24' charter boat fishes up to 5 comfortably. Each additional person (over 4 persons) - $100 per day per person. Includes all fuel, all bait, any required tackle, rods, reels, etc. and shore lunch.